Caribou Biosciences, Inc., one of a handful of biotechs working on therapies based around gene editing, is at a pivotal point as it gears up for clinical trials of its CRISPR-based technology. pharmaphorum’s George Underwood spoke with CEO Rachel Haurwitz at this year’s eyeforpharma conference in Barcelona. As co-founder, President, and CEO of Caribou, Rachel Haurwitz has already built a considerable reputation in the industry, scooping numerous awards from the likes of Forbes and Fortune Magazine for her pioneering work. Haurwitz is already named on several patents and patent applications covering different CRISPR-based technologies, but is hoping to achieve much more with Caribou, which has taken a more circuitous route to the clinic with CRISPR-based technology. CRISPR (Clustered Regularly Interspaced Palindromic Repeats) technology works by using a nucleic acid guide molecule to locate a gene that is the root cause of a genetic disease, or perhaps cancer, and then excising it using a cleaving enzyme such as Cas9. While the likes of CRISPR Therapeutics and Editas Medicine opted to head straight for the clinic with their gene editing technology, Caribou has spent more time refining its technology platform. Caribou has also been exploring other uses of the technology before taking the plunge into clinical research for gene editing-based therapies – but Haurwitz said that Caribou is now ready to press on with clinical research. “We’ve gone through a fairly major pivot recently,” explained Haurwitz in the interview at the eyeforpharma conference in Barcelona. “We started life as a broad platform technology company really with the belief that any market with bio-based products will be transformed by gene editing. This allowed the company to develop what Haurwitz reckons is the best in class CRISPR gene editing technology platform around, gaining from the experience of partnering with various companies across different fields. “We’ve had the chance to work with Novartis on drug discovery, DuPont Pioneer in the plant and agriculture world, and Genus in livestock,” said Haurwitz, referring to a 2016 collaboration with Genus, an animal genetics company. One of the benefits of this approach, according to Haurwitz, is that it has produced CRISPR technology that is more accurate than the first generation. 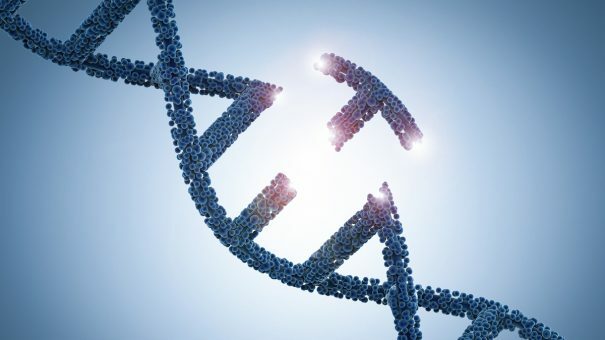 CRISPR is easy to use and efficient compared with other forms of gene editing, such as using zinc finger nucleases, but a potential drawback has been a tendency to edit the genome away from the target site. Specificity is a significant topic of importance to the use of CRISPR directly as a therapy – any changes made to the genome are permanent, so the medical establishment will need appropriate confidence that it will work as planned in order to become a credible treatment. Haurwitz is excited about the potential of Caribou’s take on CRISPR technology and its potential to accurately edit the genome. She said: “What we just kept hearing over and over and over again is how important specificity is, and what that means is gene editing is not perfect. “Sometimes you accidentally make changes elsewhere in the genome that could have negative consequences, so we’ve spent years working on new flavours of CRISPR technology that are a lot more specific than the first generation. The plan now is to focus on two key areas: the first is a concept called “bugs as drugs”, which involves using gene editing to manipulate the microbiome for therapeutics. Haurwitz said the other focus is a more “traditional” cell therapy. “We’re working on off-the-shelf CAR-T therapies and other gene-edited cell therapies,” she explained. Aside from the issues surrounding off-target events, Haurwitz said there are other barriers that need to be overcome in order to get CRISPR-based therapies through the clinic. The technology is so cutting edge that the components and raw materials for animal and human studies are in short supply, as manufacturers are unable to match demand. According to Haurwitz there is hope that existing suppliers will be able to match demand as they scale up operations. CRISPR-Cas9 has become something of a buzz phrase at conferences, but Haurwitz is also the first to admit that there is an amount of scepticism about the technology from big pharma, which would potentially fund later-stage trials necessary to get any therapy to market. She mentioned no names specifically, but there are already some companies like Novartis and Gilead that are pursuing cutting edge technologies such as gene editing platforms. These companies have already shown an interest in gene therapy technology by investing in and bringing to market CAR-T therapies in cancer, despite the considerable costs and risks they entail. “I think it’s pretty normal to see a continuum of who adopts new technologies when,” said Haurwitz. But with characteristic optimism she notes that there is a good understanding about CRISPR across the board in life sciences, from smaller R&D-focused biotechs to the big pharma companies with the financial muscle to bring therapies to the mass market. Although cutting-edge cancer therapies such as CAR-T debuted in the US, the enthusiastic reception to them in the UK has led to a funding recommendation from NICE. These precedents show that health systems are capable of adopting revolutionary but expensive treatments if conditions are right. “I think it helps that gene and cell therapies are no longer a pipe dream. They’re a commercial reality. I think that’s made a huge difference for our field,” said Haurwitz. Rachel is a co-founder of Caribou Biosciences and has been President and CEO since its inception in 2011. She has a research background in CRISPR-Cas biology, and is also a co-founder of Intellia Therapeutics. In 2014, she was named by Forbes Magazine to the “30 Under 30” list in Science and Healthcare, and in 2016, Fortune Magazine named her to the “40 Under 40” list of the most influential young people in business. In 2018, the Association for Women in Science recognised Rachel with the annual Next Generation Award. Rachel is an inventor on several patents and patent applications covering multiple CRISPR-based technologies, and she has co-authored scientific papers in high impact journals characterising CRISPR-Cas systems. Rachel earned an A.B. in Biological Sciences from Harvard College, and received a Ph.D. in Molecular and Cell Biology from the University of California, Berkeley.